Jill Savery is a sustainability consultant, advisor, public speaker, University instructor, and author. Her areas of expertise include sustainability strategy, plan and program development and delivery, partnership development and management, training, reporting, and stakeholder engagement. She currently teaches an MBA course at the University of Nevada, Reno on Corporate Social Responsibility. 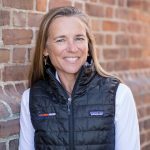 Jill was the Head of Sustainability for the America’s Cup Event Authority for the 34th America’s Cup, where she was responsible for the successful development and implementation of the 2013 America’s Cup Sustainability Plan. This work included delivering zero waste, carbon neutral and sustainable event activities. Jill previously led the London 2012 work program of the London-based sustainability charity Bioregional from 2008-2011. This role supported the London 2012 ‘Towards a One Planet 2012’ vision to deliver a sustainable event. She served as a Co-opted Expert to the Commission for a Sustainable London 2012 – a first of its kind body that independently assured the sustainability of the London 2012 Games. Jill’s professional experience includes supporting sports organizations such as the Chicago 2016 Olympic and Paralympic Games bid team, the Super Bowl 50 Host Committee, and several municipalities in the United States to embed sustainability into planning and operations. She is the co-editor of Sustainability and Sport (2011), one of the first books in this emerging field. 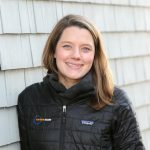 Jill earned a Master’s Degree in Environmental Management from Yale University and a Bachelor’s Degree from the University of California at Berkeley. In 1996, Jill won an Olympic gold medal in synchronized swimming and was later inducted into the International Swimming Hall of Fame. Jill speaks frequently to national and international audiences about sustainability.